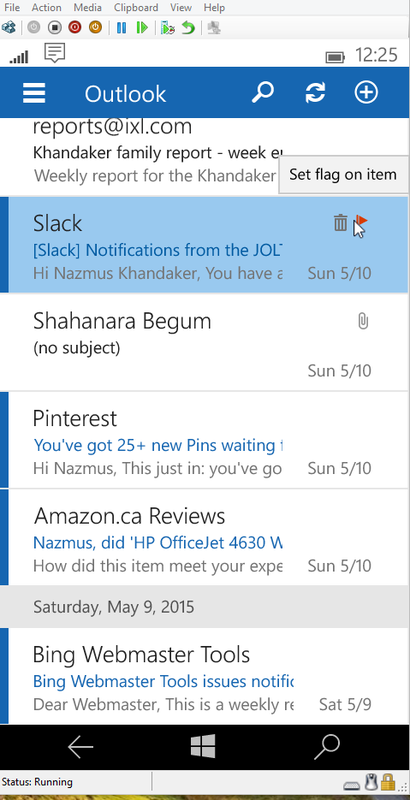 I played with a build of Windows 10 for Phones using only a keyboard and mouse interface. I had no touch screen available to me at my disposal. During the process, I noticed some interesting things. Here’s a video demonstration of Windows 10 Mobile with just a mouse and keyboard. 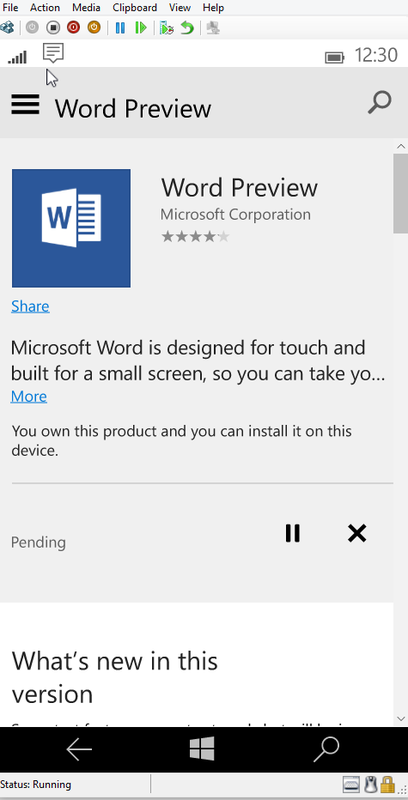 Windows Phone renders a mouse pointer when using a mouse. Windows Phone treats mouse differently than touch. When using a mouse, you get a scroll bar inside universal apps, similar to that on the PC. Hovering over items shows tooltips, same as it does on a PC. You can press the Windows Key on your keyboard to get to the Start screen. You can press the Escape (ESC) key on your keyboard to go back a page. You can use the arrow keys, Page Up, Page Down, Home, and End keys on your keyboard to scroll web pages. 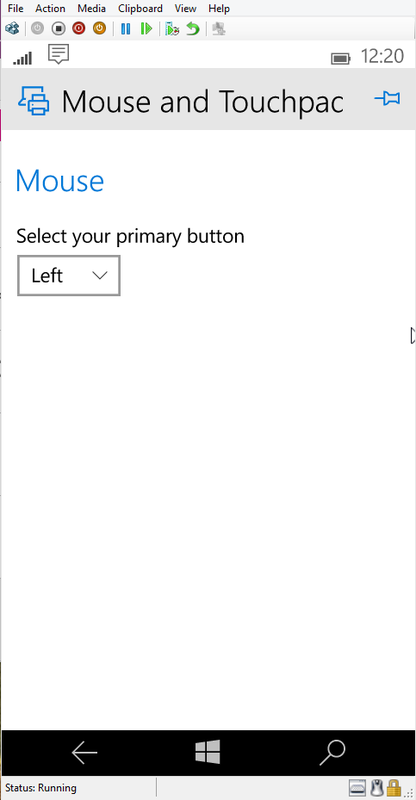 There is a Mouse and Touchpad setting to select the Primary mouse button. Here are some juicy screenshots! Also check out the video demonstrations of all these features above. Please check it out and let us know what you think! Will this feature work with USB mouse/Keyboard or we need blue-tooth keyboard/mouse? Will this feature work with USB mouse/Keyboard or we need bluetooth keyboard/mouse?